ESPN’s “Outside the Lines” ran a 30-minute special on Magomed Abdusalamov on Feb. 23, telling the story of the heavyweight boxer’s last match — a brutal unanimous-decision loss to Mike Perez on Nov. 2, 2013 — and its aftermath, which led to Abdusalamov needing brain surgery and falling into a coma. Abdusalamov, a Muslim from Russia, is married with three children. Going into the Perez fight, he was undefeated and considered a rising contender for a world championship. The Abdusalamov-Perez fight aired on HBO as the undercard to the main event, in which WBA middleweight champ Gennady Golovkin TKO’d Brooklyn native Curtis Stevens at Madison Square Garden, but the big guys stole the show. I remember watching the fight that night and tweeting that it was the best heavyweight match I’d seen in years: action-packed, dramatic, technically sound, and a classic display of the toughness and heart that is almost unique to boxing above other sports. It’s not like Abdusalamov was beaten badly from a competitive standpoint. Though it was a unanimous decision, many of the rounds were close. And while the ESPN report detailed Abdusalamov’s broken nose (from an illegal punch) and broken left hand, as well as the fact that he took 312 punches (many of them to the left side of his head), anyone who saw the fight knows “Mago” was giving as good as he got. Perez was interviewed and said he thought the fight was going to be stopped, and Abdusalamov’s trainer said he considered stopping it after the seventh round, but then Mago came out in the eighth round and looked as good as he had all night. He was never knocked down. Abdusalamov passed a post-fight medical inspection and was not advised to go to the hospital that night, even though his trainer and his brother told ESPN at that time they already believed something was wrong with Mago’s head. It wasn’t until the post-fight drug test, when blood was found in Abdusalamov’s urine, that the fighter was advised to see a doctor. But left to take a taxi from the middle of Manhattan on a Saturday night, it wasn’t until two hours after the match that Abdusalamov was taken into surgery to address the blood clot that was pushing his brain into his skull. Today, Abdusalamov is out of the coma, but is still bedridden at a rehab facility and can only respond to certain commands. He still cannot walk or talk. The show brought up some critical questions: Should more have been done? Could more have been done? 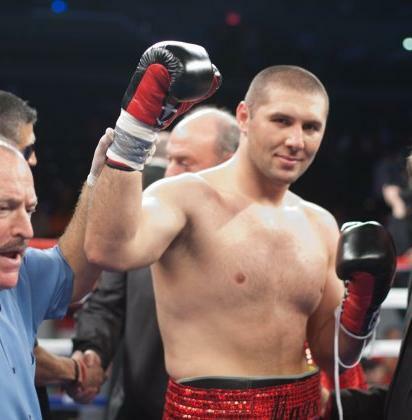 Did the New Your state athletic commission and its doctors fail Abdusalamov? Or is this just an unavoidable part of boxing? Abdusalamov’s lawyer compares it to a team of lifeguards who only have to watch two swimmers, and yet still let one of them drown. Please keep Magomed Abdusalamov in your duas and prayers, Insha’Allah, and if you’d like to donate to help with the Abdusalamov family’s medical bills, visit http://ring10ny.com.